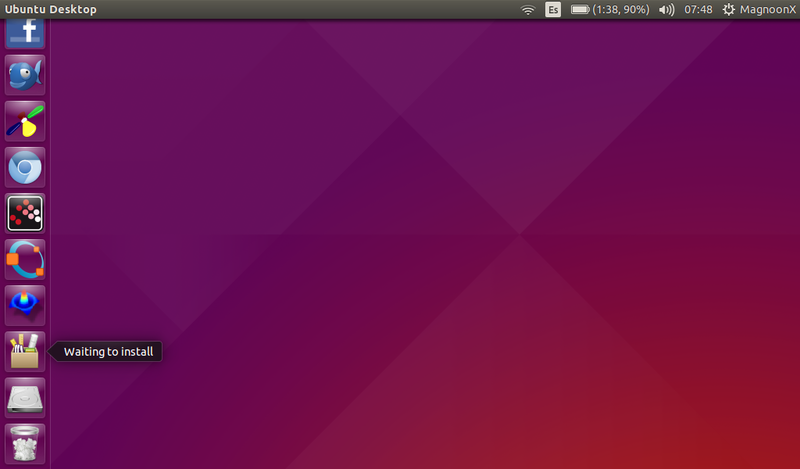 The first thing we do is install Dropbox from the Ubuntu Software Center. 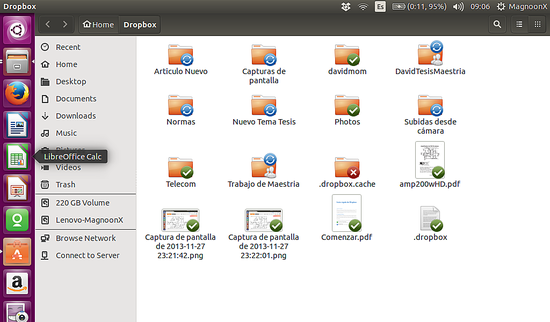 Let´s click on the software center and search "Dropbox". Please keep in mind that Dropbox, as it is proprietary software, comes in a package which, in turn, downloads the Daemon from droppbox.com. This is the reason that we can not install Dropbox through a shell command. After installing the loader package, it is recommended to restart the PC, then look for the application by typing Dropbox and start it with a double click. This package will prompt you to install the Dropbox daemon. 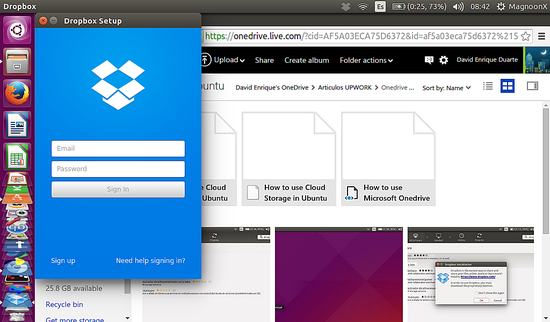 You need a Dropbox account, visit dropbox.com to get one. Once you enter your account details, Dropbox will begin its first synchronization between the virtual hard disk (cloud) and your local folders. 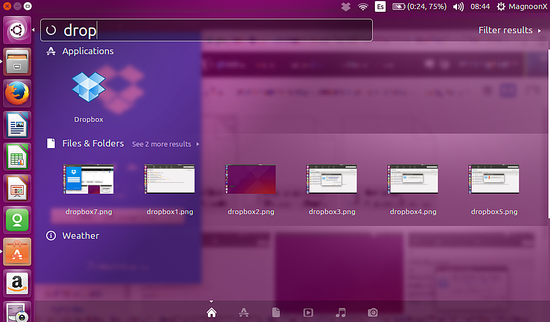 Now you can see your synced files.